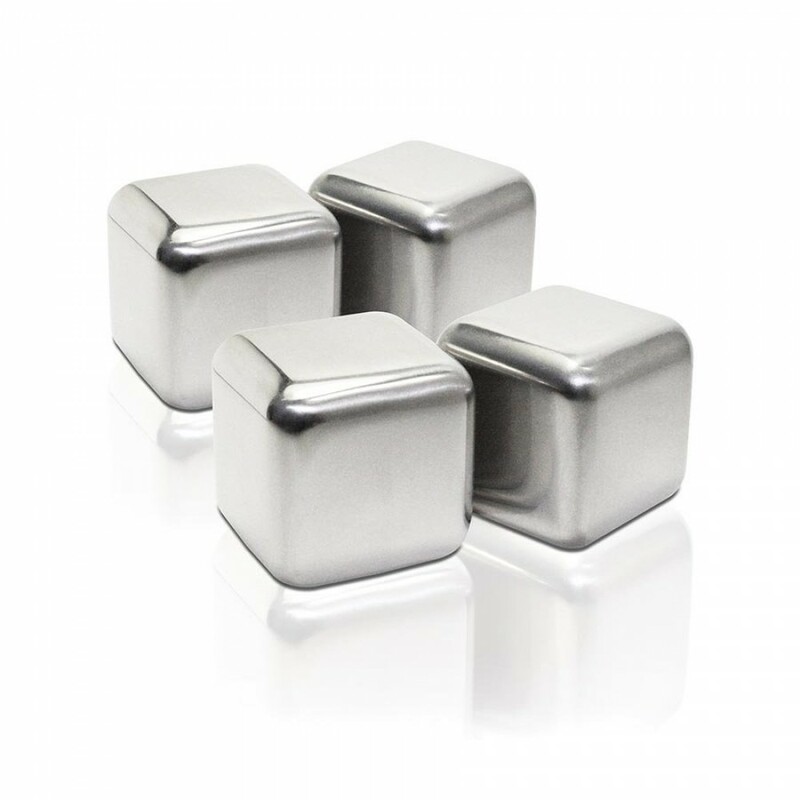 Set of 4 stainless-steel ice cubes with food-safe freezing gel inside. A classy alternative to ice, these stainless steel blocks gently cool your drink without changing or diluting the taste! 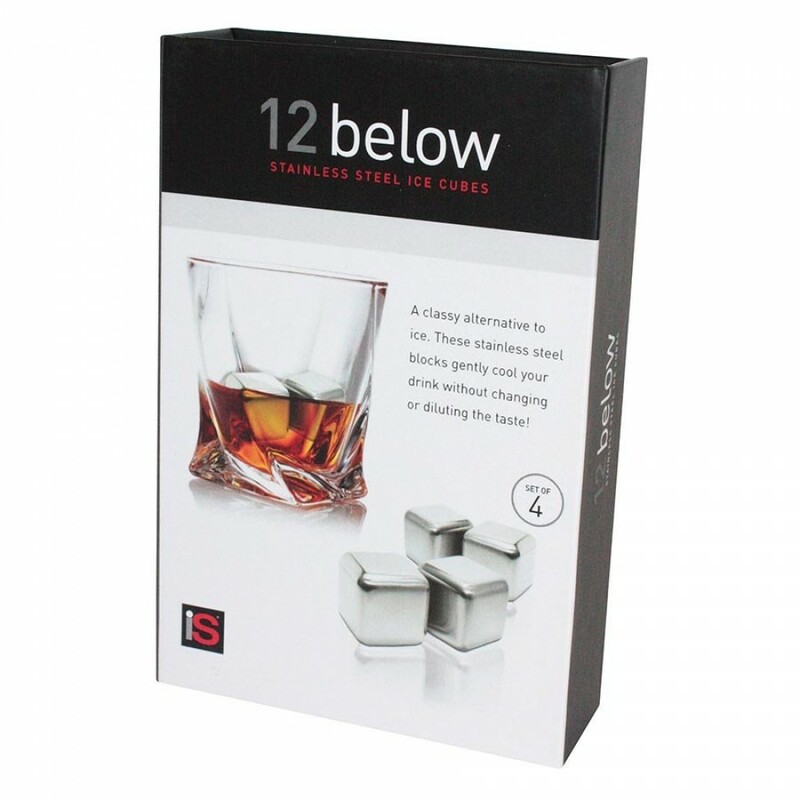 Keep them in the freezer to drop into your drinks for instant cooling. 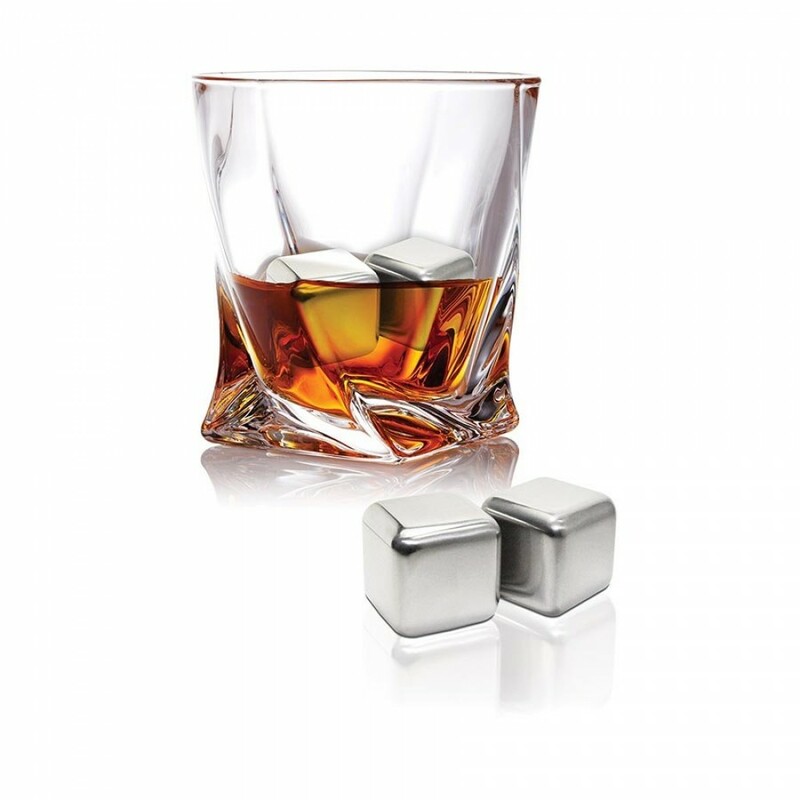 Features include non-diluting; preserving, odourless and tasteless, maintains temperature for up to 1 hour, more efficient than ordinary ice cubes, hygienic and re-usable, do not stain, rust or corrode. Store in reusable pouch (included). Freeze for approximately 4 hours before use.